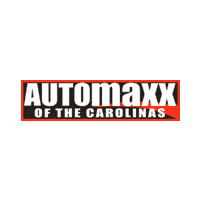 At Automaxx of the Carolinas, we’re here to help everyone drive home in the right car for their lifestyle. It doesn’t matter to us if you have perfect credit or something a little less so, or even no credit at all. We offer unique financing programs for all credit types, making it easy to get the right vehicle for you. Our Buy Here Pay Here solution makes the car of your dreams closer than ever for Charleston drivers. We know that life doesn’t always go the way you plan it. Our auto finance experts will work with you to help you secure an auto loan that works for your budget, one with affordable monthly payments that will help you build credit. We don’t focus on your credit score here at Automaxx of the Carolinas; we focus on your ability to pay for the vehicle instead. Don’t let your credit score hold you back; come pay us a visit today.